Q. Do you have the NCLEX prep exam? But we also have an additional test preparation tool that many students are unaware of. Through the SAC Library's database Testing and Education Reference Center, students may access Peterson's study guide to prepare for the NCLEX-RN. Testing and Education Reference Center allows you to take three timed, full-length NCLEX-RN practice tests, find detailed answer explanations for every question, and use what you learn to target your study time. 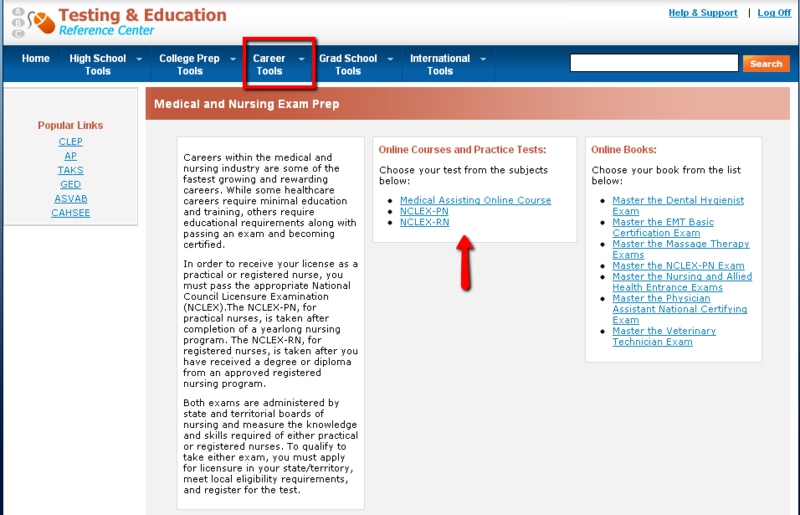 Once logged in, click the dropdown for Career Tools. At this point, you will be asked to register. Registration is free and painless. You are now ready to take the Peterson's NCLEX-RN practice test. Don't hesitate to contact us if you need more help with this valuable resource.